On a cold night, besides a pillow and a warm blanket or a snug comforter, what would you need to sleep? Something you want to cuddle and snuggle to your chest all night. buck. Some people would argue “Afterall, it’s just a toy”. 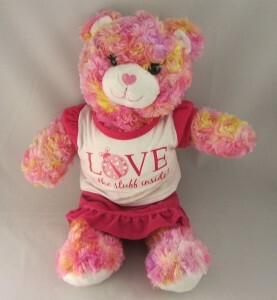 Build-A-Bear Workshop, Inc (St. Louis, Missouri) is an interactive retailer of customizable teddy bears and other stuffed animals. Each customer who walks in the store has a selection of animals, accessories, sounds, and other features to choose from to create their own unique plushie. The first step is in selecting from over 30 animals, you’d like to have as a new furry friend. From classic, warm, and fuzzy teddy bears, to “My Little Pony” characters; they definitely have an animal for each child. The next step is recording your message or choosing from their collection of pre-recorded songs and sounds. 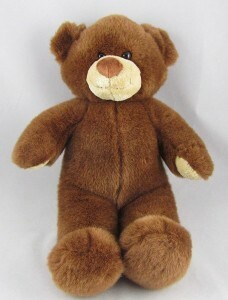 In Build-A-Bear, you and even your kids take part in adding the stuffing to the plushie. It’s even encouraged to give the little critter a test hug to see if it’s “just right”. Afterwards, you get to select a heart for the new toy. This is a trademark of the Build-A-Bear Workshop. There’s an entire ritual for physically warming the heart, making a wish, and planting it inside the plush toy. Think of it as a symbol of bringing life to a new friend. Now the furry friends get a “bath”, brush, and blow dry, kind of like a mini spa treatment for plushies. To complete the process of bringing the toy to life, it’s time to name the little critter. But Build-A-Bear doesn’t like doing things half way, so their naming ritual comes complete with a personalized birth certificate, and is registered in their tracking system which “helps lost animals find their way back home” (buildabear.com). The last step is to give the animal little more character. Is it a pirate? A cheerleader? A princess? You have a myriad of ways to personalize, with hundreds of clothes and accessories to choose from. And that’s it! After styling, the new plushie is ready for its new home. Believe me when I say that after seeing the look on your baby’s face, you’ll realize that it’s more than just a toy. It’s about seeing the look of pride in your child’s eyes in knowing that he or she participated in (quite literally) making a new friend. The magic of Build-A-Bear is in the experience. Try it with your little ones and experience a day of magic and warm hugs. Check out our Build-A-Bear Collections at our The Escape Place Store.